After rigorous hours in development, StellaDoradus finally came up with a new device called "i-Repeater". 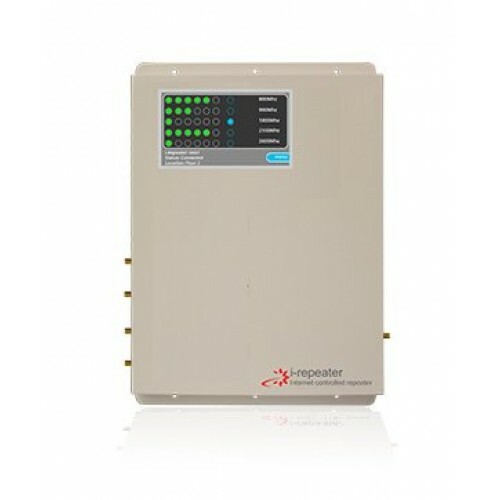 i-Repeater is a new type of mobile signal repeater that can be monitored and controlled over the internet. It supports 5 band and amplifies; 800, 900, 1800, 2100 and 2600Mhz. It is useful for contractor or installers who wants to to monitor all their installed repeater from one remote location via the Internet. If you're a contractor/installer, this device can save you time, in the case of any issues. You can monitor or remote administer installed devices through the Internet remotely. You can install this repeater with 4 line-amps to enhance mobile signal distribution throughout any building or large installation (as shown in the banner above). The i-repeater and line-amps can be controlled and monitored from any terminal (laptop, phone, tablet), via an online an Administration GUI. This allows you to monitor/ control all your installations from one remote location. It can also be used as a sales tool, by attracting customers to buy from you by promising them a peace-of-mind that they won't encounter issue with your installation, since you moniter their system. You can then charge them a service contract. You can open up new markets, government, big buildings etc. The i-repeater is 1002 series, which means it is legal and fully compliant to the EU standards. Where You Can Used This For? You can use this device with line-amps to distribute mobile signal into any building size, and at the same time line-amps are also monitored. See image above for reference. If you're an installer/contractor, you can enjoy monitoring the healft of the system from the comfort of your home. Monitor the system from your home PC or smarth phone. The i-repeater amplifies all frequency bands; 800MHz, 900MHz, 1800MHz, 2100MHz and 2600Mhz (700Mhz to be added soon). The i-repeater has a 12cm touch LCD display, that cleary displays the signal strength of the frequency received. You can access "engineering mode" using the touch enabled input device, which should show you a detailed information about the signal amplifier. With the i-repeater, you can also switch on/off or attenuate individual frequency bands. Access the Admin GUI by logging on to www.stellacontrol.com. 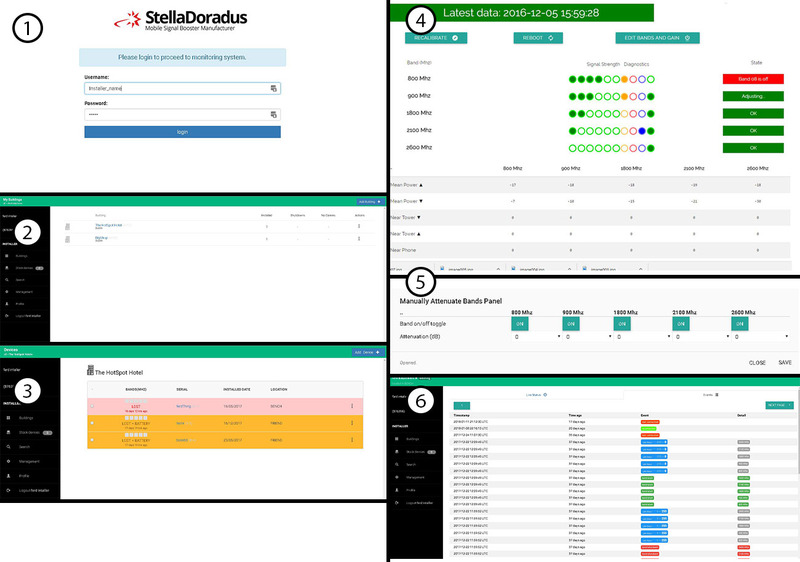 From their, you can; monitor all your device installations, vew the state and health of all your installations, explore specific details of a repeater, switch on/off or attenuate the band and you can view event history. If devices are plugged out accidentally by staffs or in case of power outage. You can pinpoint which device has been plugged out, and its location in the building. All devices have internal battery that keeps Internet connection up for several hours. Receive alerts for, oscillations, high power, band shutdown, temperature. Switch Off/On or Attenuate, individual bands of any device. Switch off power of one or all devices in a building. The devices RF chain is switched off but it is still connected to the Internet. 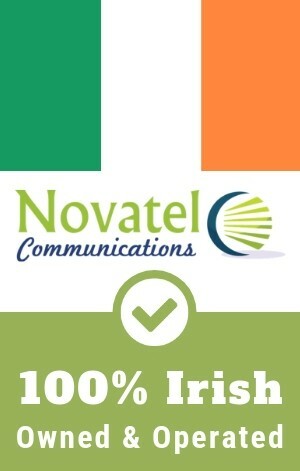 The application infrastructure for the StellaDoradus i-Repeater is physically located in AWS data-center in Europe (Ireland). This device benefits from AWS' most stringent security standards for their infrastructure and allows one to satisfy many compliance requirements. More information on compliance with standards can be found in the AWS Security Whitetepaper. With this device, you can expand your repeater system by using additional line-amps, covering more area of any large area installations like multi-story buildings. When you install the outdoor antenna too close to the indoor antenna, feedback can occur. It's like putting a microphone up-close to a speaker. The software in StellaDoradus Repeaters detects this feedback and reduces amplifier gain automatically, ensuring this feedback loop cannot occur. This feature makes sure that the repeater does not send too much power up to the base station, protecting it from overload. It facilitates power control between the base-station and phone. Repeater increase power in rural locations where it is needed. 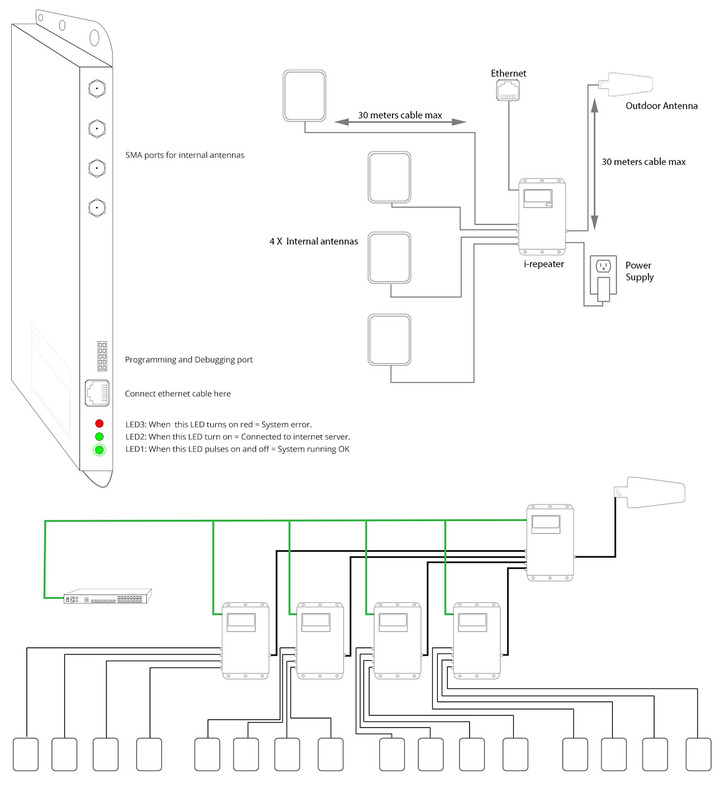 Below is a reference image diagram of the basic setup of the i-repeater in conjunction with 4 line-amps for increased coverage.